General Motors has delayed the launch of the next-generation Chevrolet Cruze by a year to make engineering changes and to squeeze more sales from the existing model, people familiar with the company's plans said. DETROIT -- General Motors has delayed the launch of the next-generation Chevrolet Cruze by a year to make engineering changes and to squeeze more sales from the existing model, people familiar with the company's plans said. 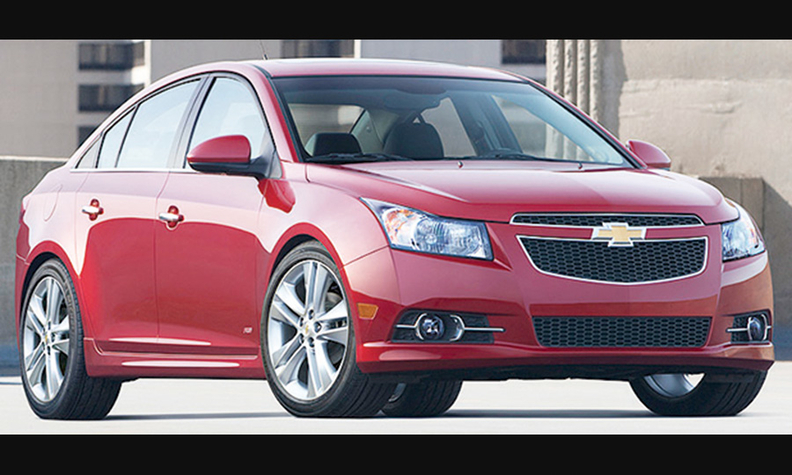 The next version of the Cruze, which had originally been scheduled to debut in late 2014, will now begin production in December 2015, said the sources, most of whom asked not to be identified in discussing GM's plans. Canadian Auto Workers union leaders at a supplier plant in Stratford, Ontario, have announced the delay to members. "It was disappointing to hear that the Chevy Cruze program has been pushed back a year and will not start until 2015," CAW Local 4451 Chairwoman Karen Fleming said in a newsletter issued in April. The union represents hourly workers at a Cooper Standard Automotive plant that makes rubber seals and trim parts. GM spokeswoman Annalisa Bluhm declined to comment on future product plans. The automaker has said the next Cruze will be completely redesigned, with a larger trunk and roomier passenger compartment, and will get better fuel economy. GM wants to make sure the next Cruze "does break through the clutter" better than the new Chevy Malibu fared, a supplier source said. After the redesigned 2013 Malibu failed to gain traction with U.S. consumers, GM is refreshing the car's exterior styling and adding rear seat room for the 2014 model that goes on sale this fall. Officials with the CAW union local and another supplier source said that "engineering changes" forced the delay. GM said in August 2012 that the next-generation Cruze would be built in Lords- town, Ohio, where the current model has been assembled since September 2010.